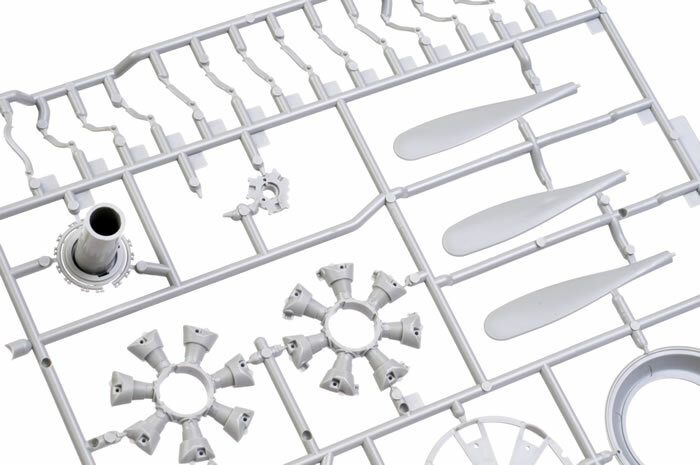 Wingscale is a brand-new model company from the Netherlands that has burst onto the market with some big news, in every sense of the word. 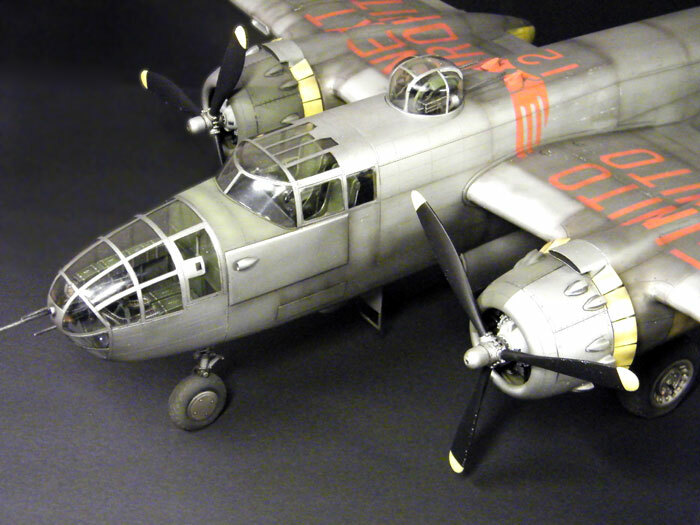 Wingscale’s first release will be kit number WS32-0002-01, a 1/32 scale glass-nosed North American B-25J Mitchell Bomber. Price is € 98,00 euro plus shipping. 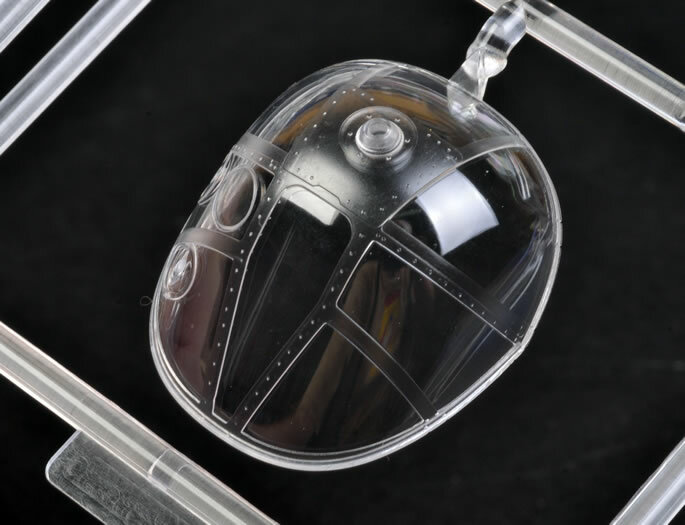 The kit will feature separate flying surfaces, a detailed cockpit, top turret, bomb bay and landing gear; photo etched parts; optional white metal landing gear and markings for three colourful subjects on decals printed by Cartograf. 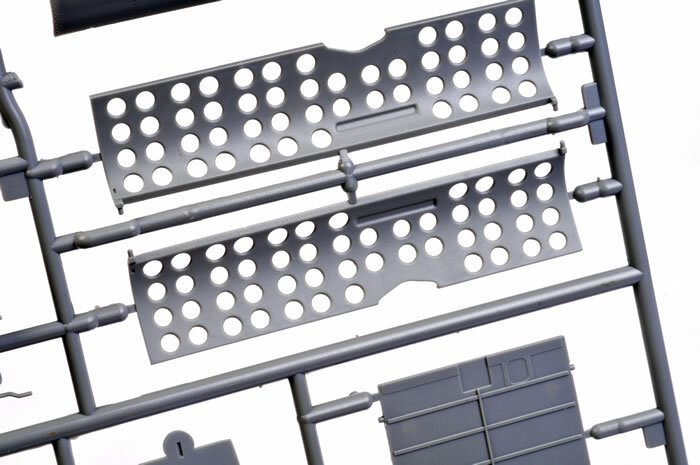 The kit is made up from more than 430 parts. 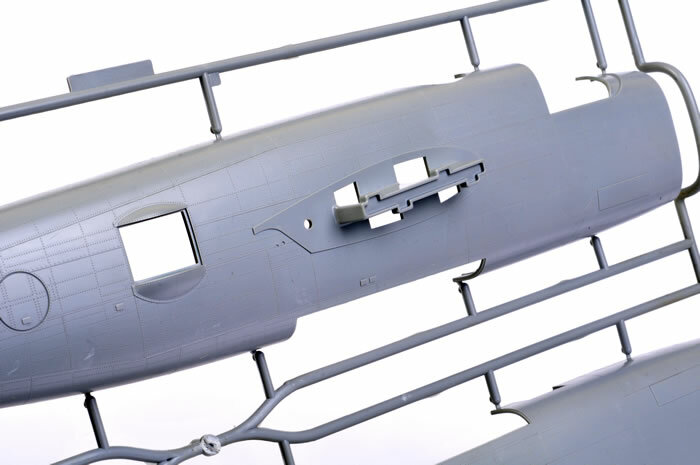 The three marking options in this initial release include two USAAF aircraft – one in natural metal and one with Olive Drab upper surfaces over bare metal lowers – and a Soviet VVS version in three-colour camouflage over black lower surfaces. 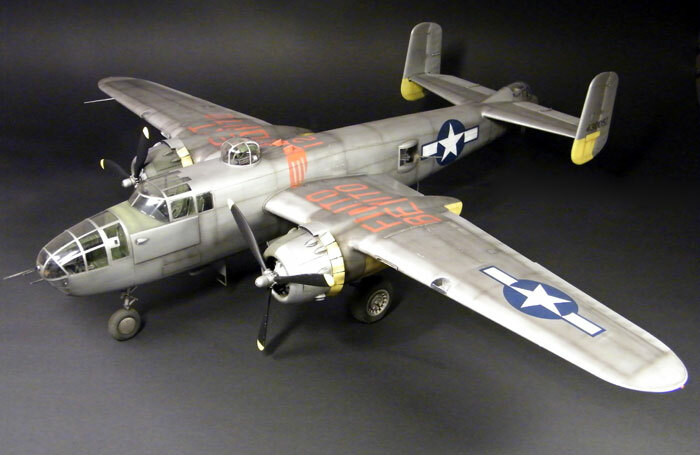 Two different variants of the B-25J will also be released – a solid eight-gun nose and the 75mm cannon-armed version. 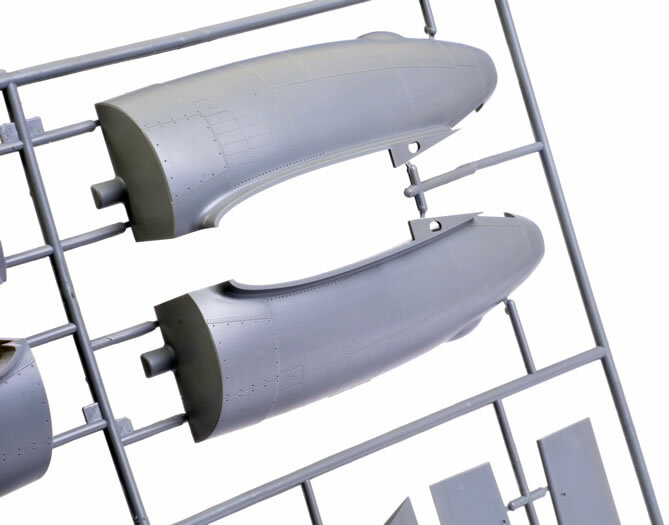 The engine cowling will be totally re-tooled so that it is 100% round. 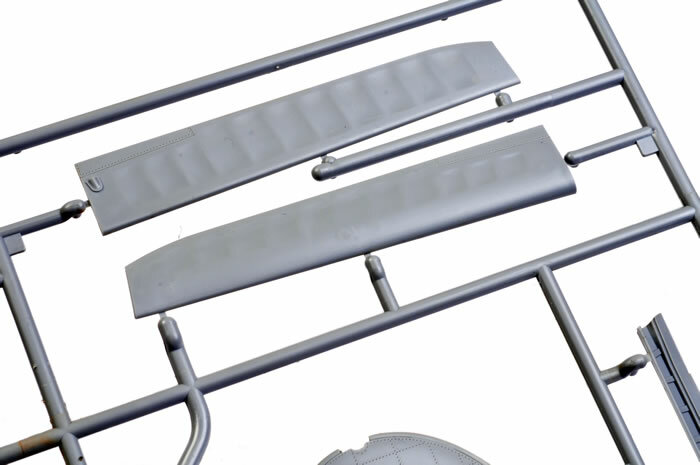 The engine rocker plates will be modified so they can be glued directly to the engine. Bolt detail for the inner/outer wing attachment joint will be added. Additional detail will be added to the tail gun assembly. Tooling of the bomb fins will be modified to improve fit (they are a bit tight at the moment). Tooling of the propeller blades will be modified to improve fit (they are a bit loose on my test shot). 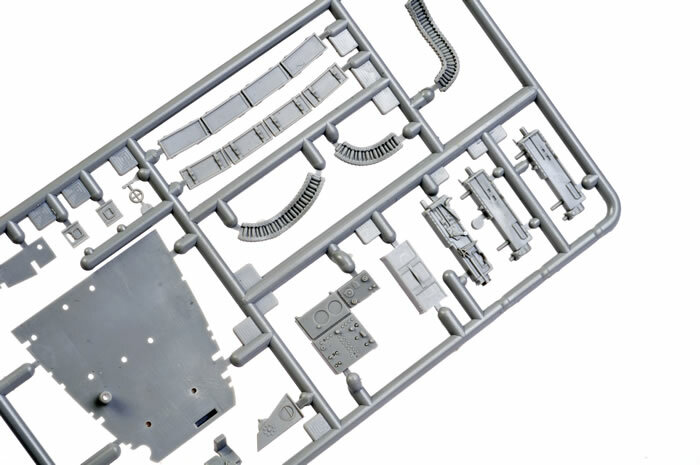 Photo-etched parts will be added. 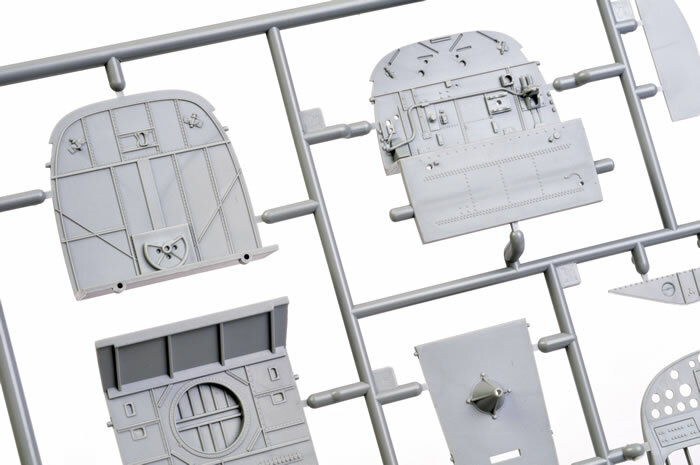 These will include landing light elements, harness straps, armour plate and detail for the bomb bay. My first impression when opening the plain brown cardboard box was, wow, this is big! Surface detail is largely a matter of personal taste, but I think Wingscale has done a fantastic job here. 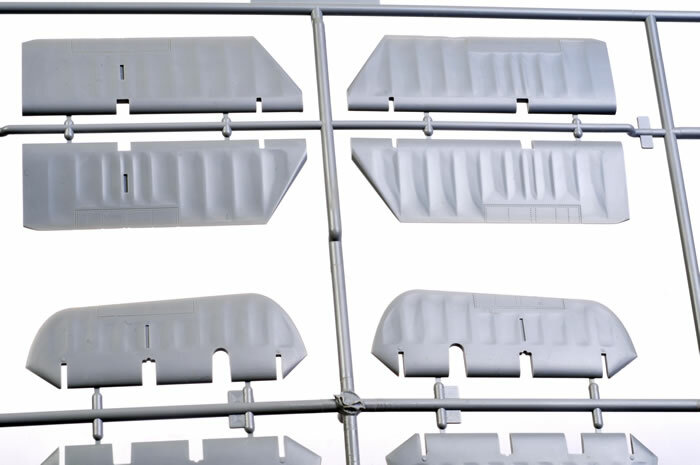 Larger surfaces feature incredibly fine rows of rivets, with restrained use of crisp and finely recessed panel lines. Raised structural features are also present where appropriate. Despite its size, the kit is broken down conventionally. 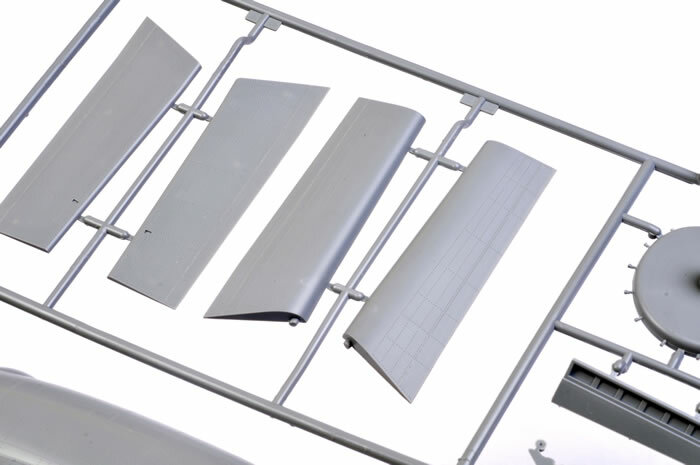 Each fuselage half is supplied in one long part. 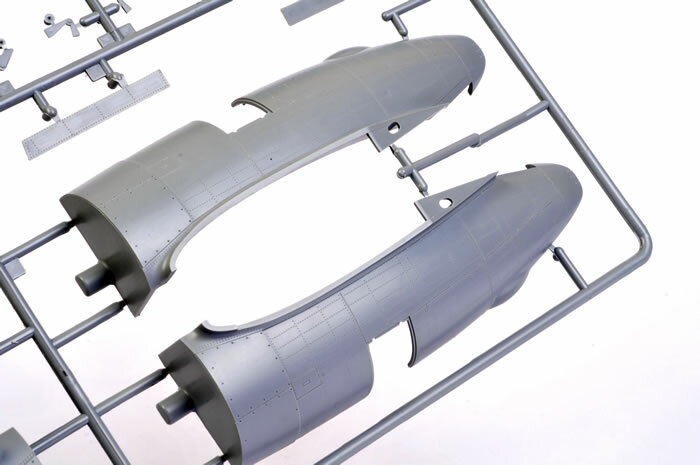 The nose section is moulded separately to permit the glass nose, eight-gun nose and 75mm cannon version to be produced using the same main fuselage parts. 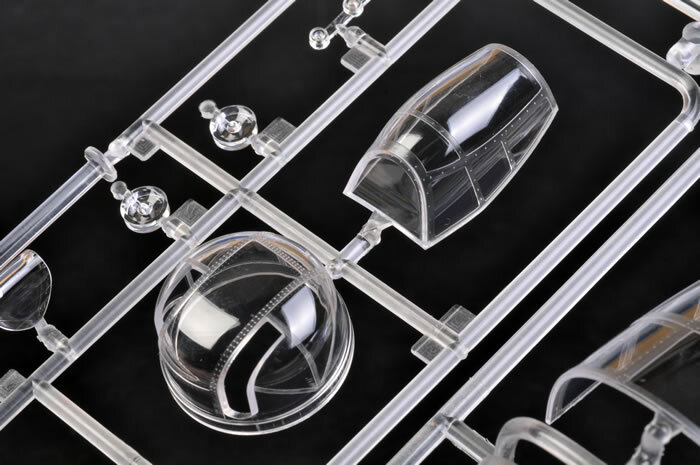 Only the clear nose is provided in this set of sprues. 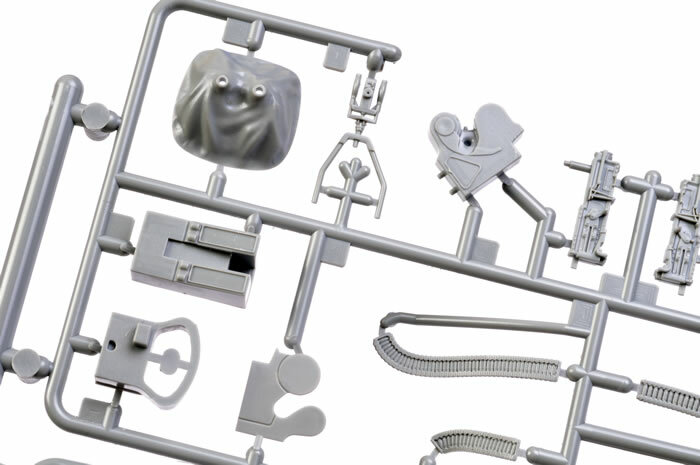 This is, in effect, a long-run injection-moulded plastic kit with all the little luxuries that modellers enjoy, including locating pins. 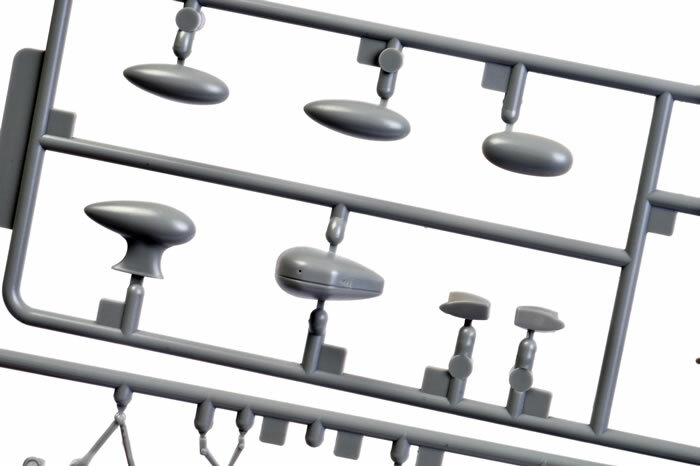 The quality of moulding is extremely high. 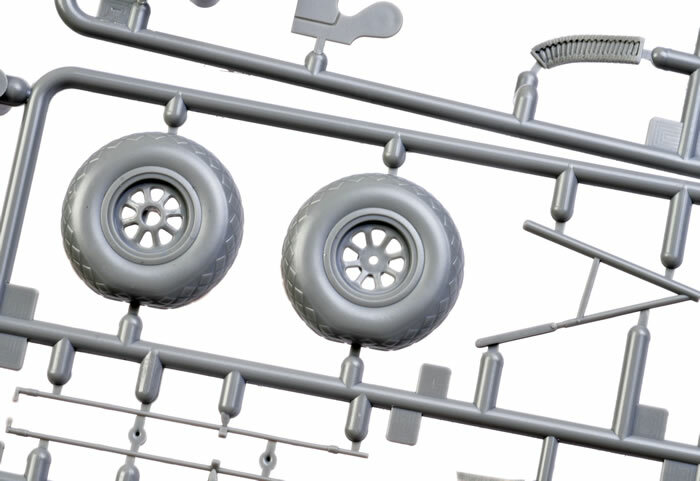 Even on this test shot, I would say moulding is comparable to Tamiya. 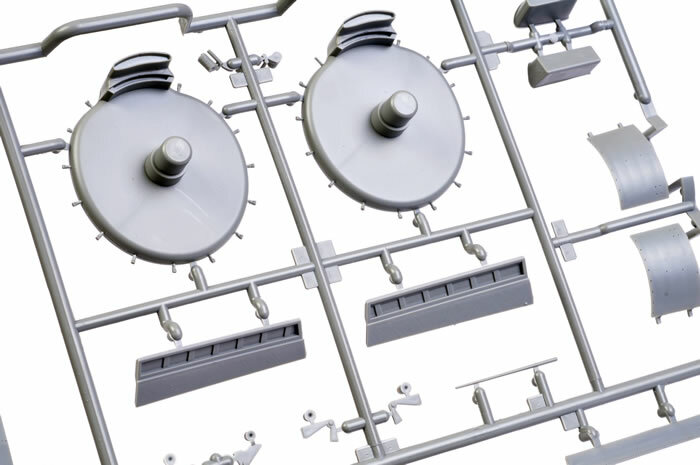 I could not find any sink marks, and there are no obvious ejector pin circles in areas that will be visible on the completed model. 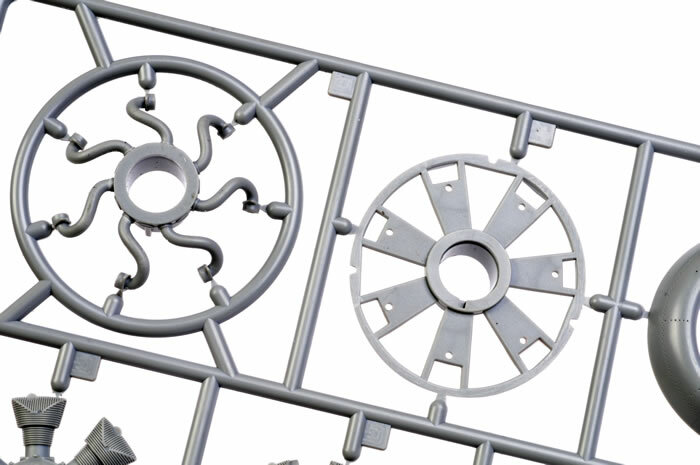 Sprue attachment points are quite modest too, considering the large size of some of the parts. 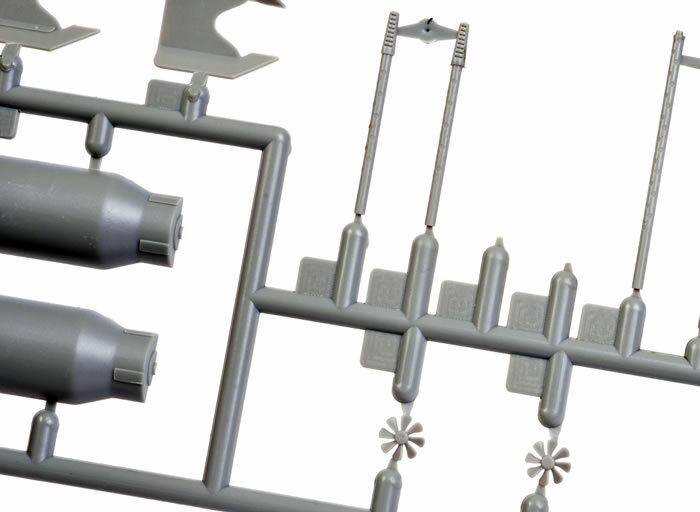 Removal of parts from the sprues and cleanup should be quick and easy. 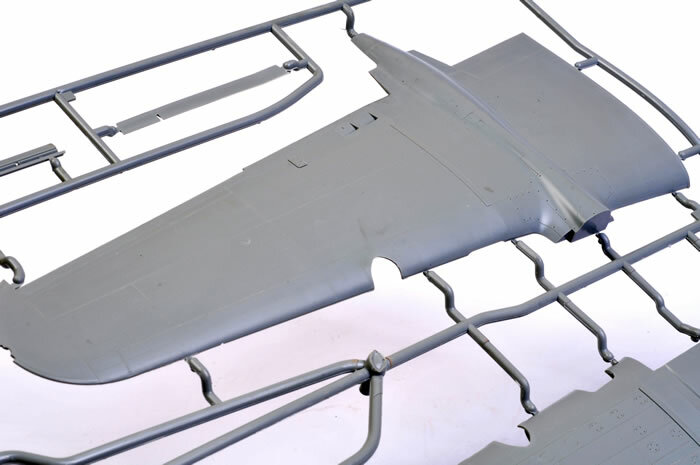 The wings feature the characteristic B-25 “gull” effect, and each is moulded as a single upper and lower part. 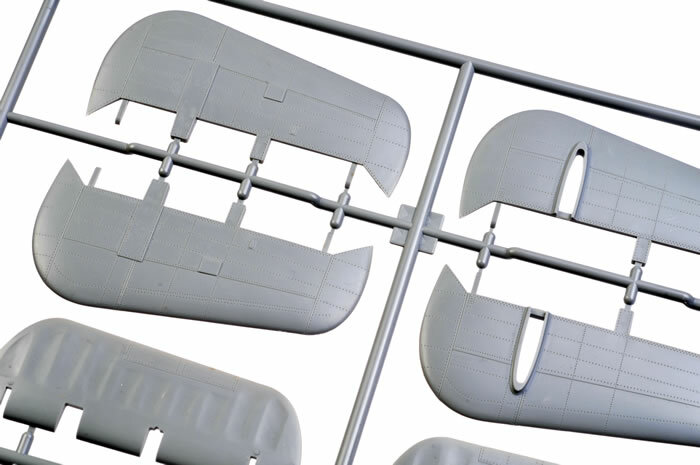 The wings should click in place thanks to stout wing spars moulded to each fuselage half. 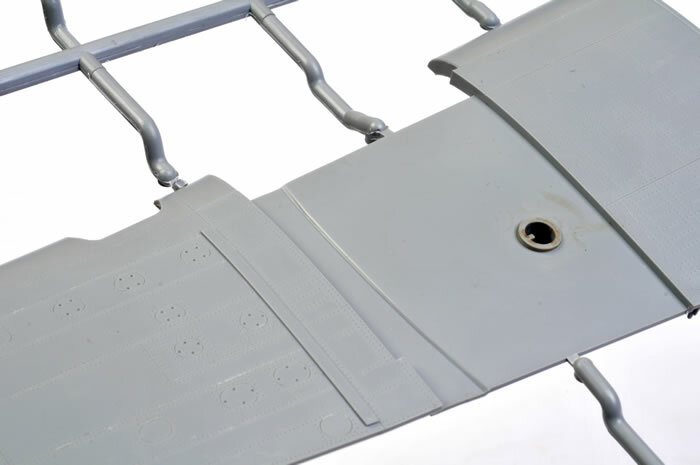 A heavy-duty locating hole for the landing gear leg is moulded into the bottom of each wing. All the control surfaces are separate, including the flaps. These may be posed to taste. To my eye, the scalloped fabric effect is a bit heavy on the elevators, rudders and ailerons but this may well be another area that is being addressed. 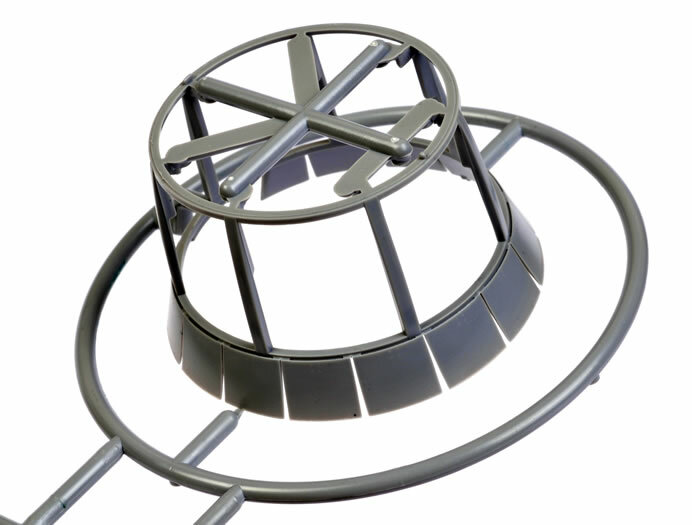 The engines feature comprehensive detail and will be installed inside a clever cylindrical framework that incorporates open cowl flaps. 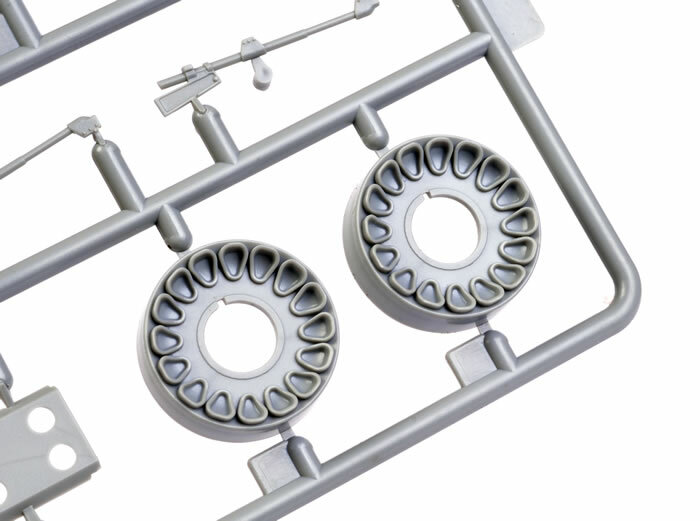 Pushrods are moulded as one part per layer. 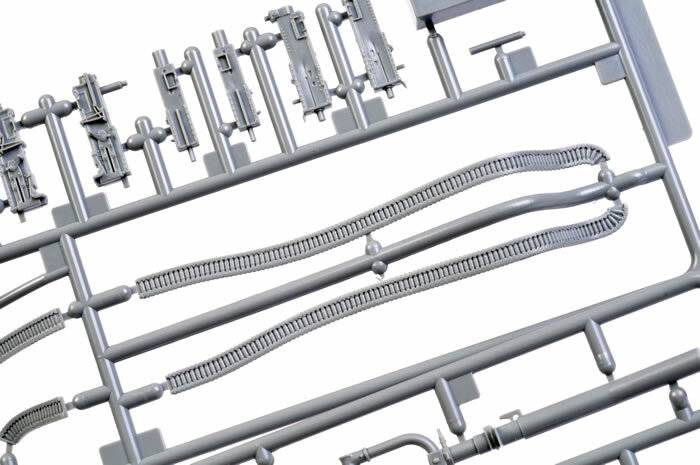 Ignition wires are supplied as individual parts, as is the multitude of manifold and exhaust ejector parts. These assemblies will be time consuming, but should look fantastic when finished. 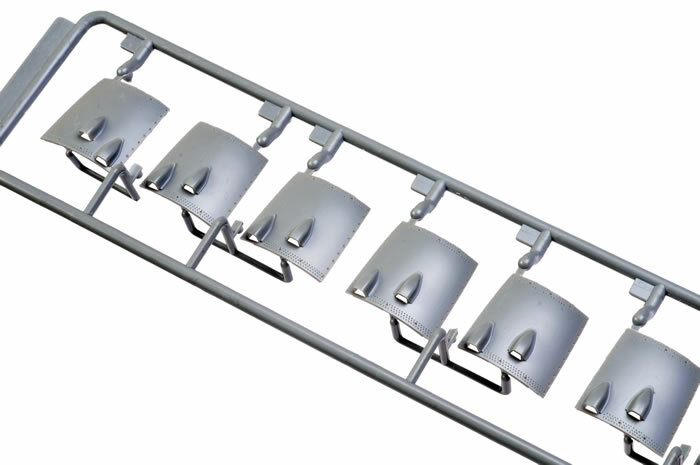 The outer cowl is moulded as seven separate curved panels. 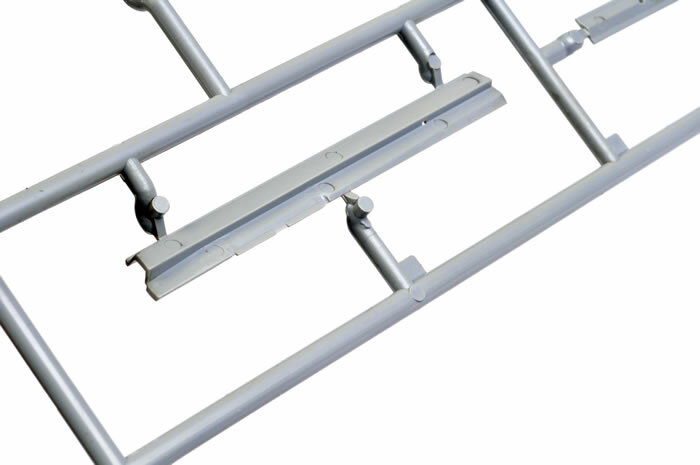 Each panel has two hollow exhaust ejector shrouds. 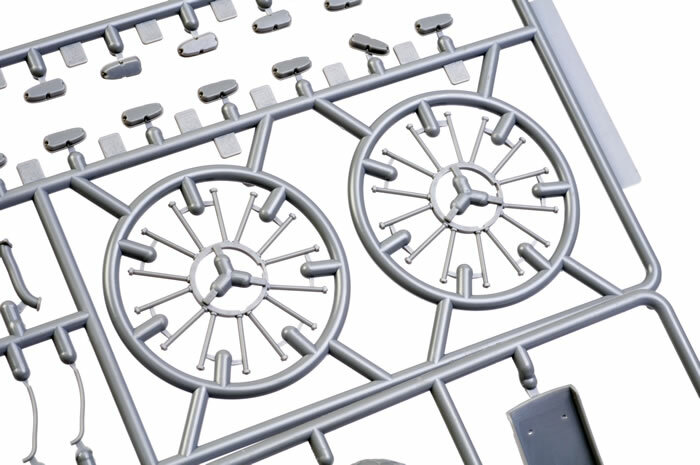 You will be able to leave some of these panels off the completed model if you want to admire your engine handiwork. If my calculations are correct, each engine is made up from 97 parts. 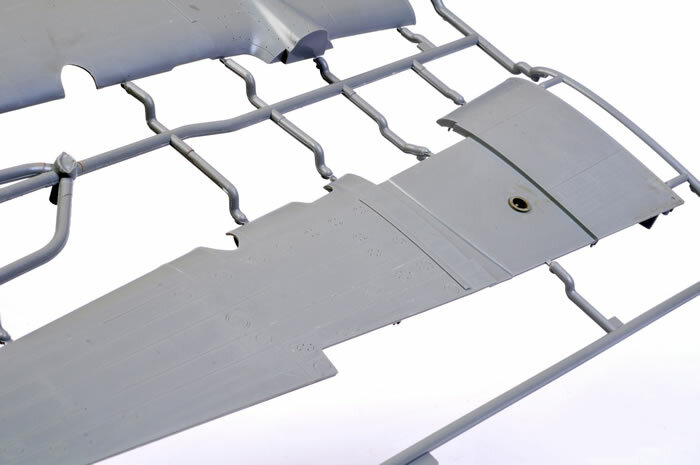 Landing gear legs are supplied on the sprues as plastic parts, and also as optional white metal parts. 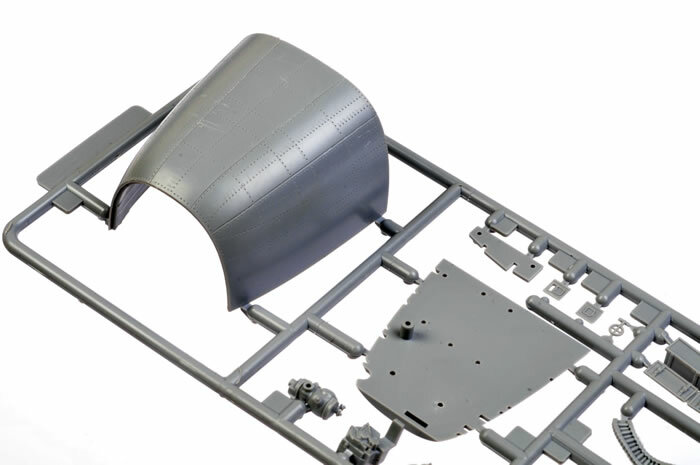 The kit will undoubtedly demand some serious nose weight, so the white metal gear will be helpful in supporting the bulk of the model and adding a little extra mass forward of the centre of gravity (the nose gear in this instance). 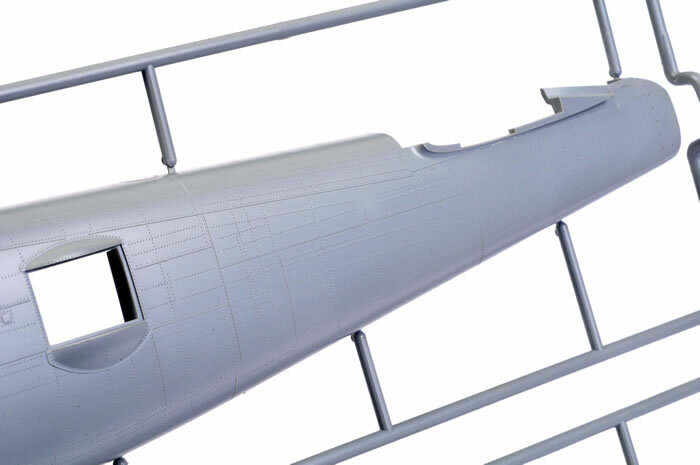 It seems that the main gear legs must be installed before the nacelle is glued to the lower wing, so some care will be required when handling the model during subsequent assembly and painting. Detail is good in the cockpit, the bombardier’s position and in the bomb bay. 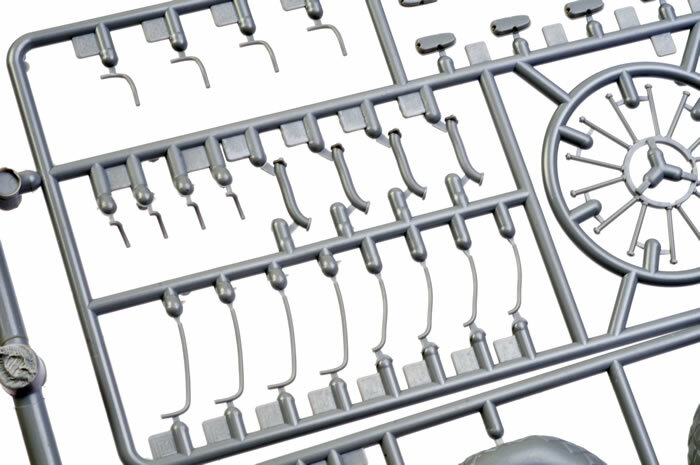 I do not have the photo-etched harness straps nor decals for the instrument dials, but I have no doubt that they will match the quality of the plastic parts. My only question about the interior is the shape of the pilot’s and co-pilot’s seats in this test shot. The forward upper turret is a nice little model in its own right. 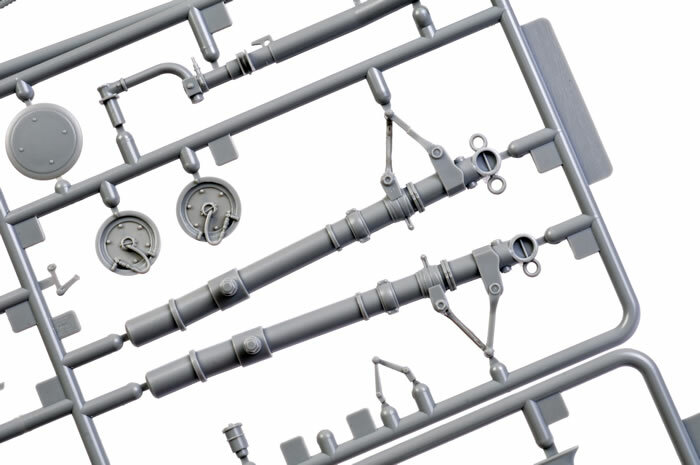 The .50 cal machine guns are beautifully detailed, and will look great in this large scale. 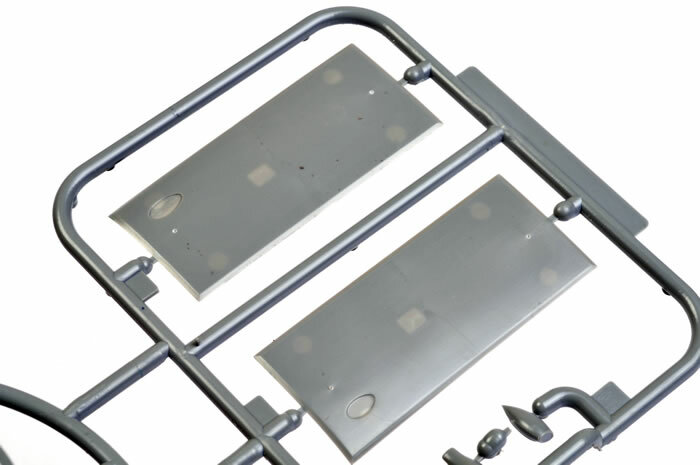 An optional blanking plate is supplied for the turret position. 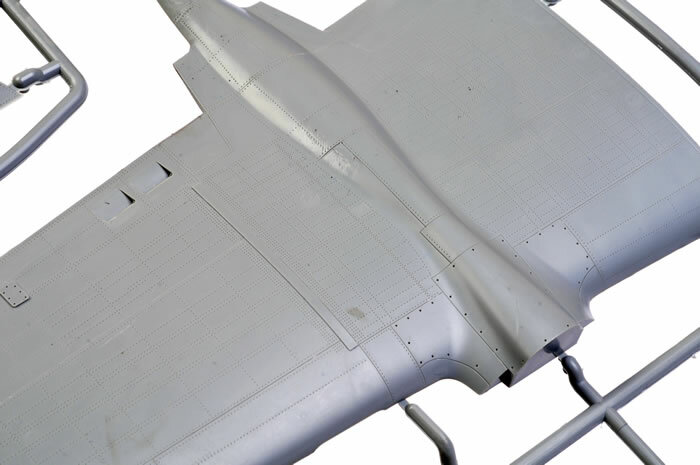 Two optional-shaped deflectors are also supplied for aft of the turret on the upper fuselage deck. 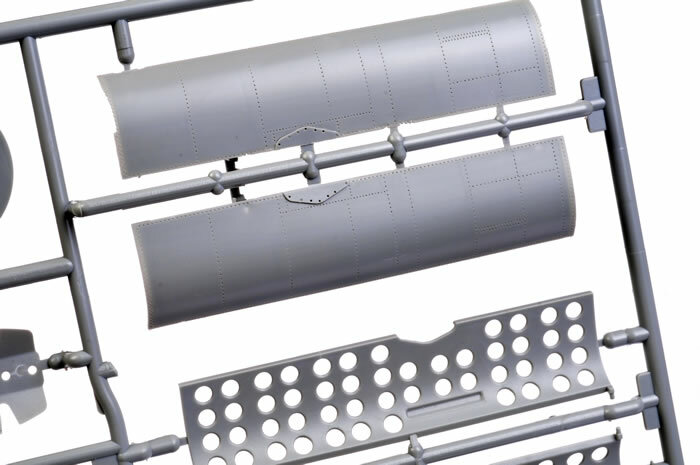 The forward fuselage gun packs and blast panels are supplied as separate parts. 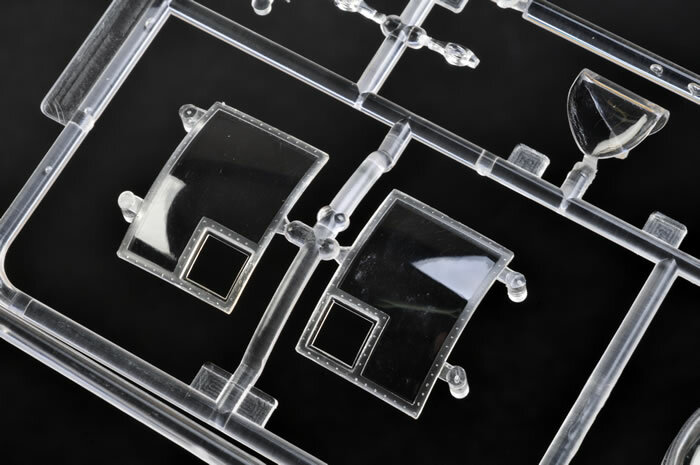 The small square cutouts for the machine gun canvas boots in the side windows are also supplied as separate parts. Check your references, as sometimes these were not fitted. With this thoughtful piece of engineering, you can simply leave them off if you want to. Ammo feeds are attached to all the machine guns – nose, turret, dorsal, side and tail. 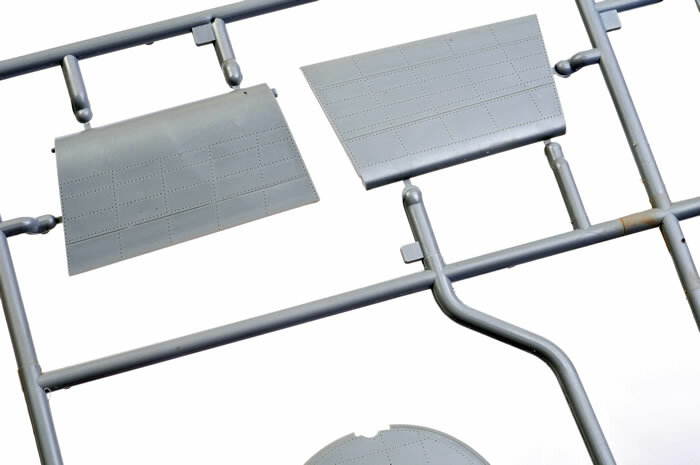 The bomb bay is a completely separate sub-assembly that is installed between the fuselage halves. 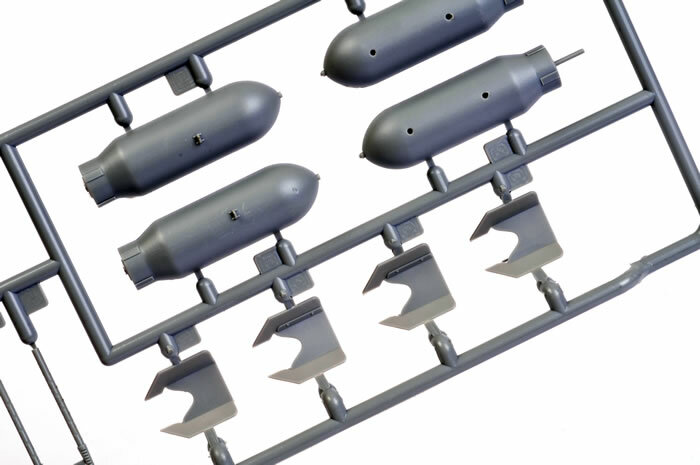 A full load of bombs is supplied for the bomb bay too. 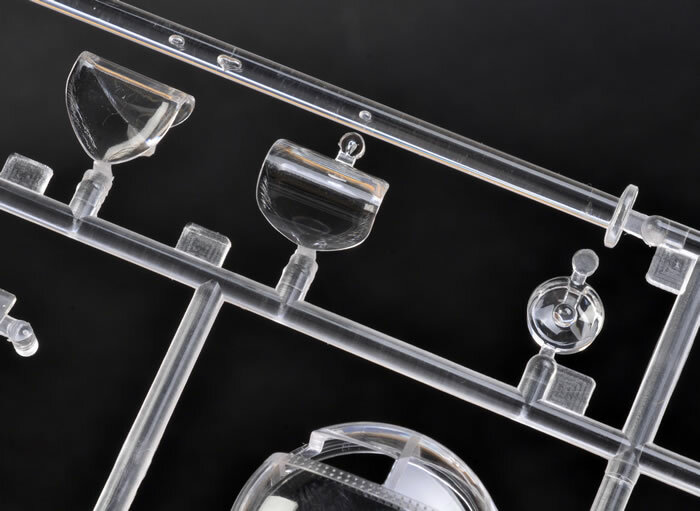 The clear parts are beautifully presented – thin and totally free of distortion. 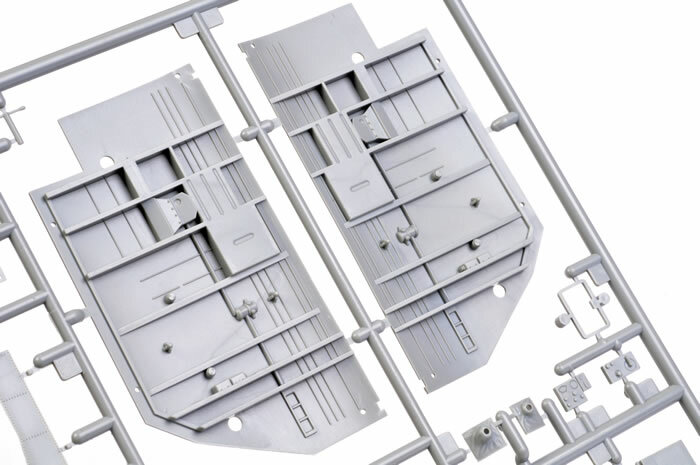 Apparently I do not have all of the clear parts in my set of sprues (one of the main reasons I decided to hold off building the kit). I have a set of preliminary instructions, which are well illustrated and quite straightforward. 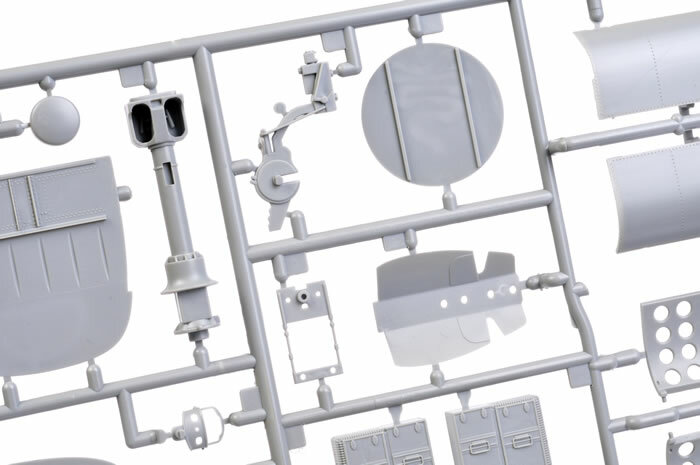 Over the last six weeks or so, Jeroen Veen has been building this kit from another early set of test shots, and documenting his progress on HyperScale’s Plastic Pics Forum. Jeroen reports that the fit was generally precise, and the build was trouble free. 79 photos of the build have now been placed in HyperScale’s Gallery. Follow this link to see Jeroen’s impressive build. 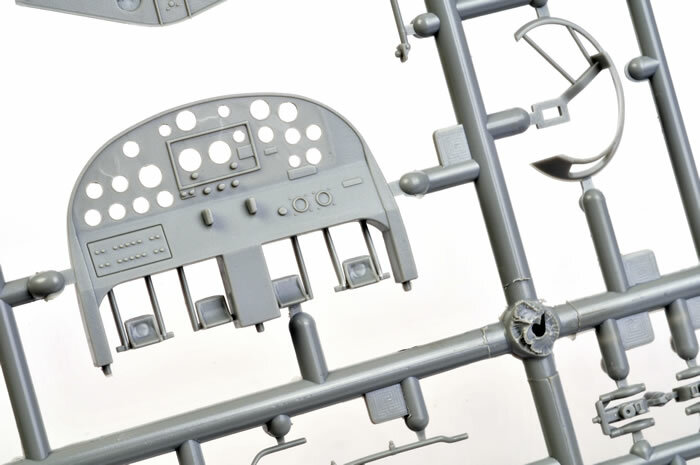 It would be unfair of me to pass judgement on an early set of test shot sprues but from what I have seen so far, Wingscale’s 1/32 scale B-25J Mitchell should be a very impressive kit. 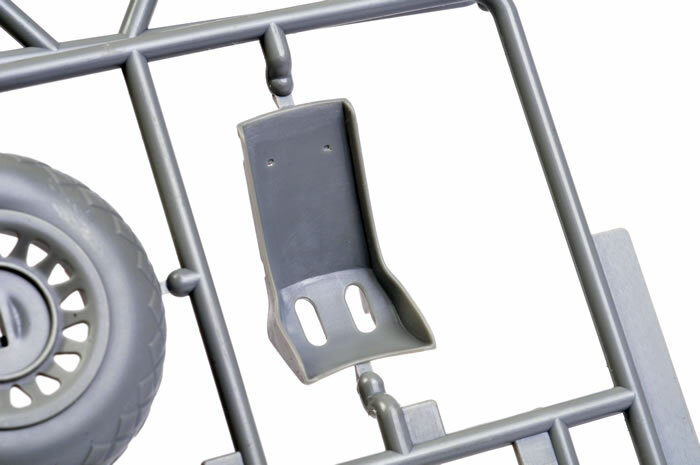 Moulding quality is first-rate, surface detail is restrained, detail is excellent, engineering is modeller-friendly and the overall shapes are accurate. 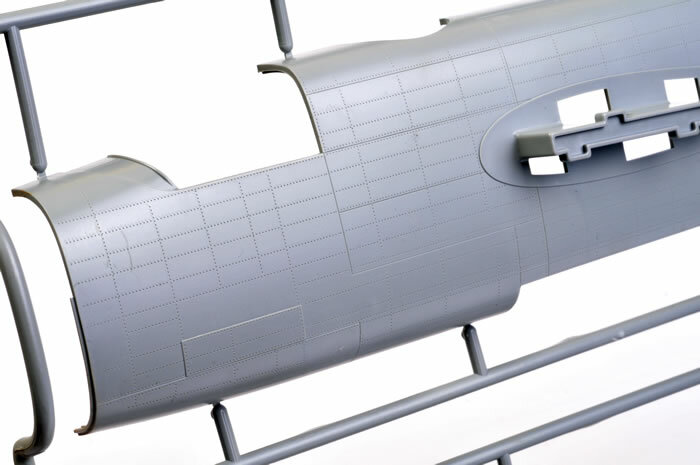 It is also encouraging to see that Wingscale is taking comments on board and making improvements and additions to the kit’s tooling before release. I wish Wingscale every success with this ambitious project and I can’t wait to see the finished product. Production of this initial release will be limited to a total of 2,500 though, so be quick! 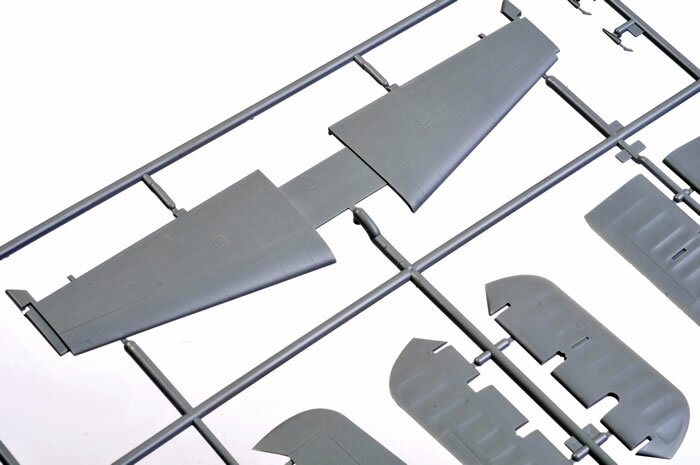 Thanks to Wingscale for the sample sprues.